This shower tray former is designed for on site tiling to the customers preferred tile. Each shower former tray is manufactured in a fully waterproof and stable material. Supplied in 13 shower tray sizes with bespoke sizes available to special order. 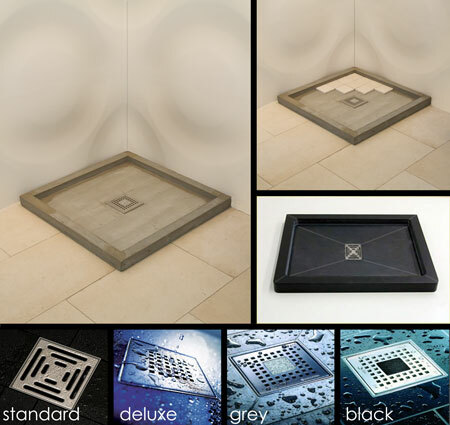 Each tiled shower tray former is supplied with a rapid draining waste and standard stainless steel grill, with the option to upgrade to designer stainless steel grills. * Includes rapid draining shower waste. * 3 x stainless steel choices.